Hi friends. I hope you are doing great. I understand that the festive season is knocking the door and so are the festive expenses. So you don’t have much to trade. Well that’s ok. Our strategy today is for people who are a little tight on liquidity. But apart from the people who are neutral in the market. If you are both than today’s strategy can be a blessing if you can execute it properly. So without waiting any further let’s discuss the Strategy. 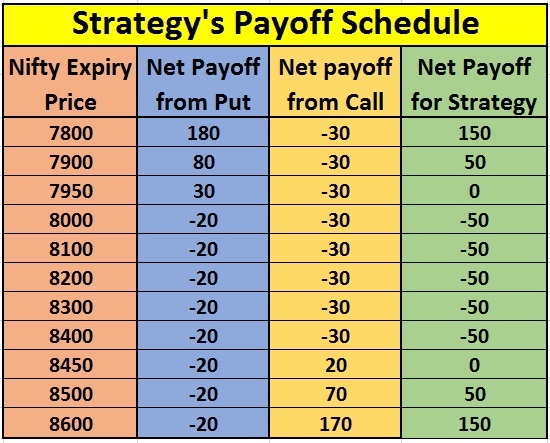 This strategy involves the buying of a slightly out-of-the-money (OTM) Put and a slightly out-of-the-money (OTM) Call of the same underlying stock / index and expiration date at the same time. Here it is very important for you to be directional neutral. 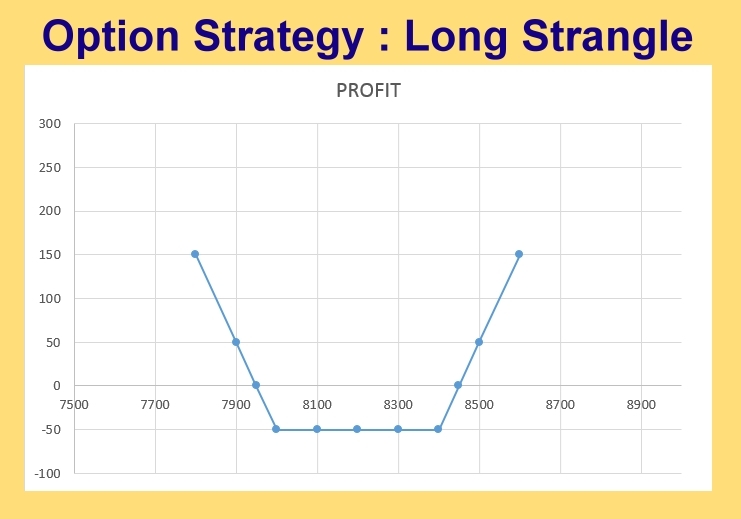 But remember this strategy works only incase of increased volatility in the stock / index and the prices moving significantly in either direction. Since OTM options are purchased for both Calls and Puts it makes the cost of executing a Strangle cheaper as compared to a Straddle, where generally ATM strikes are purchased. Since the initial cost of a Strangle is cheaper than a Straddle, the returns could potentially be higher. This strategy has a limited downside (i.e. the Call and the Put premium) and unlimited upside potential. We can use this strategy when we believe that the underlying stock / index will experience extreme volatility in the near future. Net debit taken to enter the strategy is Rs. 50, which is the maximum loss we can suffer.